It is a common problem that people always see “SD card error” and "No SD card" on GoPro Hero 4 and 5. When searched on the internet, you can see people are complaining about it. Actually, it is not a big deal after you learn what the reason caused this and the troubleshooting way to fix GoPro SD card error. Check out the GoPro SD card errors details now. There are 4 major causes of GoPro SD card error. You need to check out your SD card carefully to see which your SD card problem and fix the problem correspondly. It happens often to an old SD card which had been used in another camera or device. When you try to use it with GoPro, you need to format it first, making it work with GoPro. Step 1. Please backup the files in the SD card to your computer. If you skip this step, then all data on the SD card will be deleted completely. Of course, if the data is useless, then forget about it. Step 2. Inset the SD card to your GoPro camera, enter the setup menu by pressing the front power button. Press the top button to select the setup menu. Press the front button until you see the trash can icon selected. Select "ALL/Format" option. It will wipe the SD card clean of all data, including any potential issues that has caused the SD card error on GoPro. Step 3. When it finished, shot a video or take a picture to see whether the GoPro error has been formatted or not. #2. The GoPro SD card read and write speed is not fast enough. The GoPro SD card error for GoPro often happens after recording in a high-resolution or high-frame rate mode. To fix GoPro SD card error, the only way is to ditch the old SD card for a new one. It often happens when you’re using a pretty new SD card with the an older GoPro version. It is similar to computer firmware. If you want to keep your computer run properly, you need to keep it updated all the time. To update the firmware, please connect the GoPro to the computer. Next, figure out which GoPro model you’re using, find the firmware update here, follow the instruction to install it. If your SD has been used for months or years with GoPro and suddenly stopped working, it might be caused by the dust. In this case, you need to clean it with a soft cloth or toothbrush, making sure the clean is complete. When the SD card is dry and clean, insert it back to the GoPro camera again. It works for all types of SD cards and supports all the video and pictures types you shot on GoPro. 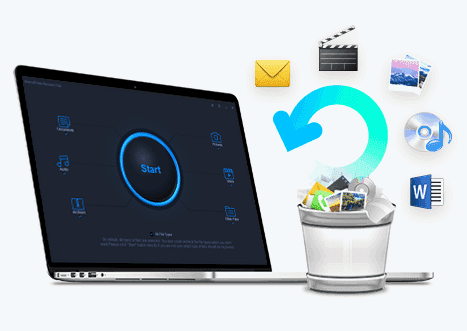 Only in 3 simple steps, it will get your lost videos and photos back from GoPro camera: connect GoPro with computer, scan the SD card, preview and recover the lost data. Download iBeesoft Data Recovery to repair GoPro SD card data now!